First though, machine noises are increasingly finding their way into music as musicians with an attentive ear for sound discover how effectively they can flavour and subtly modify the vibe of a song. To Southwold this morning for the Adnams Artist of the Month recording. What a morning! 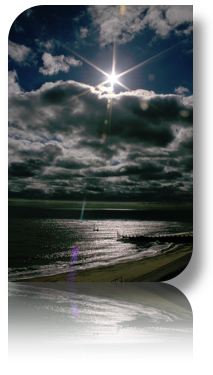 Blustery and bright with a dramatic sky and beten steel sea. Will Knox an English musician in New York writes and performs songs of breathtaking passion and apparent simplicity. His album The Matador and the Acrobat it a thing of great beauty in itself and the music speaks of the common man in a, sometimes, bewildering world. To conclude the mini theme of industrial sounds, for me, the most intelligent and nuanced use of found sounds in music today. Jordan Reyne with the (almost) title track of her current album Children of a Factory Nation. Jordan has been on Suffolk’n Cool a few times and has become a good friend and supporter of the show too. Sat 15th October – York, UK. House Concerts series. Fri 21st October – Llandudno, UK. Cottage Loaf. Fri 4th November – Brighton/ Hove, UK. The Brunswick. Fri 11th November – Liverpool, UK. MelloMello. Sun 13th November – Norwich, UK. The Bicycle Shop. Thurs 24th November – Bolton, UK. The Bolton Railway. This month I met Victoria Savory – Head of Marketing at Adnams and heard a bit about her work and her taste in music. There is an extended version of the interview in the Artist of the Month section of the main SnC site. The Esoteric Gender might be born in Reykjavik, the world’s northernmost capital, but the band draws its roots from all over the world. Four members, four different countries: England, France, Denmark, Canada. This explains the vast scope of genres their music touches, from dance to triphop, from rock to electronica. They have won the support of legendary producer/engineer Tony Platt (Bob Marley, AC/DC, Sparks) describing them as “a favorite of [his] for quite a long time now”, and adding “they deserve their music to be heard far and wide”, and of British magazine, who picked them as one of their favorite acts of the 2010 Iceland Airwaves music festival, as well as other newspapers and music industry figures from Iceland. One of the features of CMJ is the showcase events that are put on by various labels and music management companies – primarily aimed at industry people. That sounds pretty dull but actually they work really well. Everyone is thoroughly rehearsed and put on great shows. One of the places that regularly send me music to check out is Audio Blood MEdia and their showcase (in conjunction with a few others) called Let’s Get Messy is being held at the legendary Arlene’s Grocery, NYC on the final day of CMJ, Saturday 22 featuring eight great and varied artists including Hey Marseilles, The Damn Choir, Son of the Sun, Sandman Viper Command, Paper Thick Walls, Sydney Wayser, Kellen and Me and Archie Powell and the Exports. Not bad for an afternoon’s entertainment eh? Kellen & Me is currently on his first tour. Kellen is breaking new ground and turning heads with his unique group sound that emanates from this one-man ensemble. His live performances are exceptional manifestations of his debut album and are characterized by beautiful contrasts and comforting similarities with the record. His music is the vibration of Group, a band – a fully organized thought. All Performed by One man, Kellen. She gleaned much of French culture from her songwriter father, leading her to musical influences that include Edith Piaf, Charlotte Gainsbourg, and Jacques Brel, among many others. This European sensibility is evident on both albums The Silent Parade and The Colorful, each filled with tunes that could easily provide a soundtrack to a Godard film or a playful scene from Jeunet’s Amélie. “I wrote mostly everything on piano and children’s toys,” explains Wayser, while she was living in a tiny NY studio apartment. I’ll be in New York for CMJ which runs from 18-22 October and hope to be spending at least some of Saturday afternoon at Arlene’s Grocery taking in the Let’s Get Messy showcase, among many other events, panel sessions, get togethers, parties and meetings. I’d love to take you with me but Mr Branson says the plane is nearly full. So, how about the next best thing. Each day I’ll be doing my very best to post a quick report on the day’s happenings in Brooklyn and the Lower East side to bring you a flavour of the music, the personalities and the general buzz that is CMJ.